During my lifetime, I have met six survivors of the Nazi concentration camps. Each of them Jewish. Some were at Treblinka. Some at Bergen-Belsen. Some at Auschwitz. Hearing only them tell his or her story would remain as one of the most humbling and heartbreaking and in the end most inspirational tale of human hope that I have ever listened to. To hear the tales of six such people leaves a far greater impression upon one's mind of the sacredness of even one human life. These people and many more went through Hell on Earth... but not one of them came out of it with affirmation that in spite of the evil that mankind is capable of, there is also a far greater potential for good. Every single survivor of the camps is, has been and forever will be a victory against those who sought their extermination. For all that was done to them, they yet lived to see their children and their children's children be born. 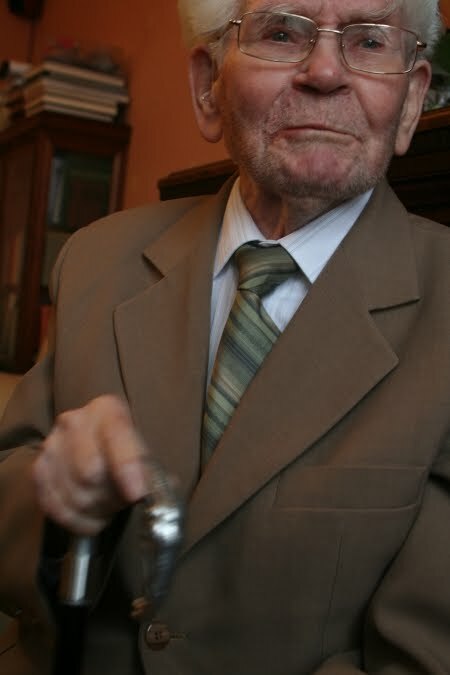 Born in 1904 in Wolborz, Poland, Antoni Dobrowolski saw more of that unbridled evil and final triumph than most could ever claim. A teacher by trade, he was 38 when he was arrested by the Nazis for educating the children of Poland. That's all that he had to do to be arrested and sent to a concentration camp. He taught children. The Nazis believed that the Poles were a sub-human race regardless of whether they were Jew or Gentile. For this "crime", Dobrowolski was sent to Auschwitz: the very worst of the German death camps. Dobrowoloski was one of the lucky few: chosen to live and work and not to perish in "the showers". He held onto life in a place "worse than Dante's hell", until the Allies liberated the camp in 1945. After the war, Dobrowolski returned to the career that was his passion: teaching young minds. He eventually became a principal at an elementary school and then a high school. Teaching about his experience in the Holocaust as much as about the Polish language to children. I think it can be said that many, many generations were taught and encouraged and influenced for the better by this man, who courageously defied the edicts of his nation's conquerors and then defied them again in a place of ultimate darkness. Antoni Dobrowolski, the oldest survivor of the Auschwitz concentration camp, passed away yesterday. Rest in peace, Mr. Dobrowolski. You taught well that most important lesson of the human condition: you taught hope.